You will receive 6 sets of die cuts, total 18 pieces. 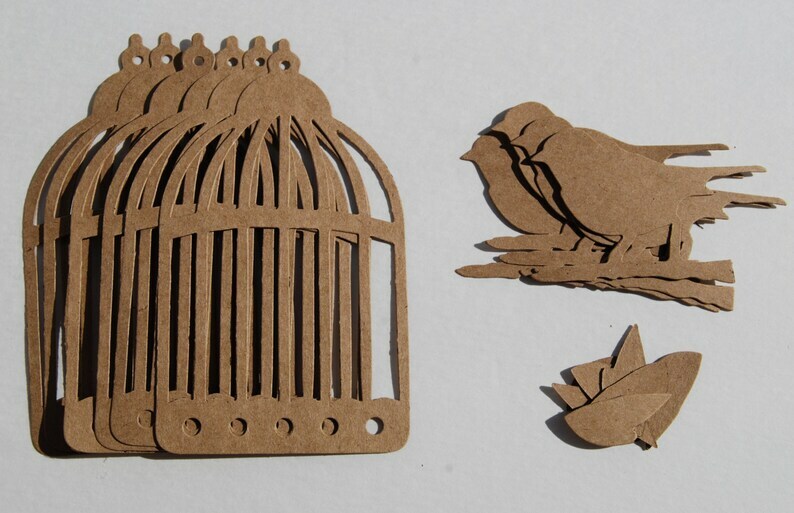 Hand cut from kraft color cardstock. You can use it as it is or ink or color spray it to style all you want! Bird measures 2 3/4" x 1 3/4"
Wing measures 1 1/4" x 1/2"
If you need it with different color or quantities, please convo me!